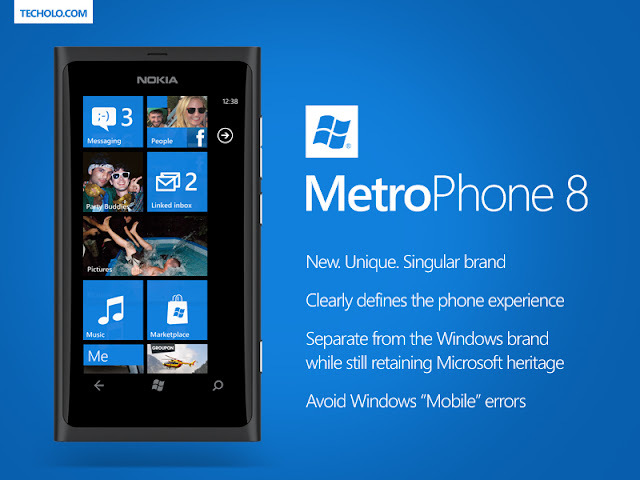 How about Metro Phone for Windows Phone? Windows Phone is a good name. It is simple and sticks to a tried and tested brand but I have seen many occasions where people still confuse Windows Phone to the old Windows Mobile. There is also that stigma that people unfortunately connect with the Windows label. While Windows 7 has been performing well, Windows, to the common folk, means viruses, malwares, and BSOD. The new label could even drop the phone and just go for all METRO. So the next version can simply be called Metro Tango Phone, Metro Apollo Phone, etc… The “Phone” in the current name sometimes sound redundant when used – “The All-new Windows Phone 7 phone from Nokia..” Still a matter of usage though. Imagine - Apple has iOS, Google has Android, Windows has Metro. The tablet can be called Metro Tablet for what its worth. Metro Tablet with desktop-grade Windows under the hood, that’s a catch to consumers.